FJH is the duo of Will Brooks and Michael Mare, members of Dälek and Destructo Swarmbots respectively. 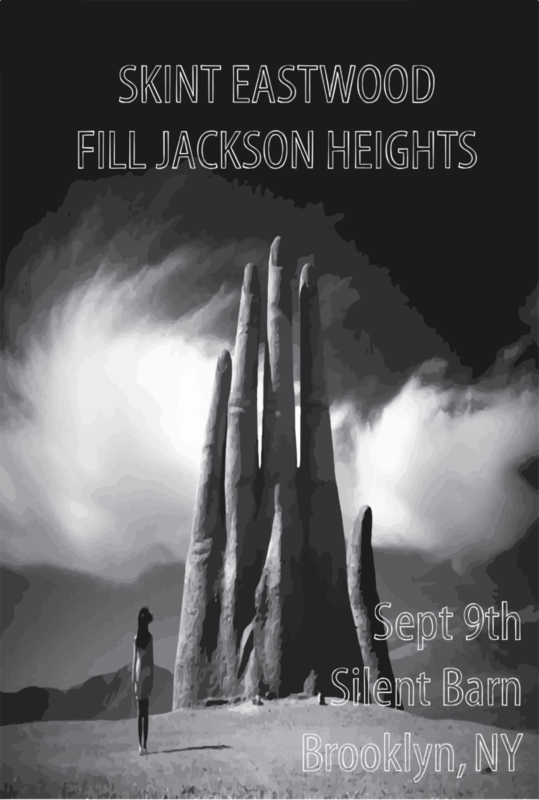 Fill Jackson Heights combines epic effected guitars, layered with impossibly slow beats and hazy improvised production. The experimental duo is just starting on this musical journey to the darker recesses of their minds. singer has begun a solo career in the Philippines, after over a decade of being in family bands: experimental New JerusalemProjekt and dark industrial Venetia Obscura. Skint Eastwood has since collaborated with Metro Zu (Miami), Tippa Irie (London),KONIDA (Tokyo), Red-I (Manila), Circle Traps (London), Conclave (Manila), and ERAS (LA). She has performed in London, Switzerland, Manila, and Tokyo so far, sharing the stage with notable acts like Viv Albertine (from the iconic female punk band The Slits), Onra, Metro Zu, and Sapphire Slows. Described in Philippine Esquire magazine (April 2013) as ‘a kind of Sade of the electronic generation, with soulful lyrics about love and the apocalypse’, and likened to Hype Williams, Zola Jesus and Crystal Castles; her style is a mixture of haunting soul, detachment, depth and darkness.